Studying at HSUHK has been a remarkable and fruitful journey as it has given me opportunities to pursue a path where I could fully unleash my potential. The professors, especially those from the Department of Marketing, have been very supportive. They were more than happy to assist us with both our schoolwork and career planning. The professors’ passion in marketing and dynamic and interactive teaching methods have inspired me to continue deepening my knowledge in marketing. I am truly grateful for and am amazed by the professors’ commitment and dedication to student learning. The learning environment is very pleasant and welcoming. It is unbelievable that my best friends are the classmates whom I met on the first day. Besides, I joined the Buddy Programme in my year-two study and made some lifelong friendships. Knowing people around the world allowed me to have a deeper understanding about different cultures. It then encouraged me to step out of my comfort zone to broaden my horizon and sparked my interest to pursue further studies in the UK and an international career. 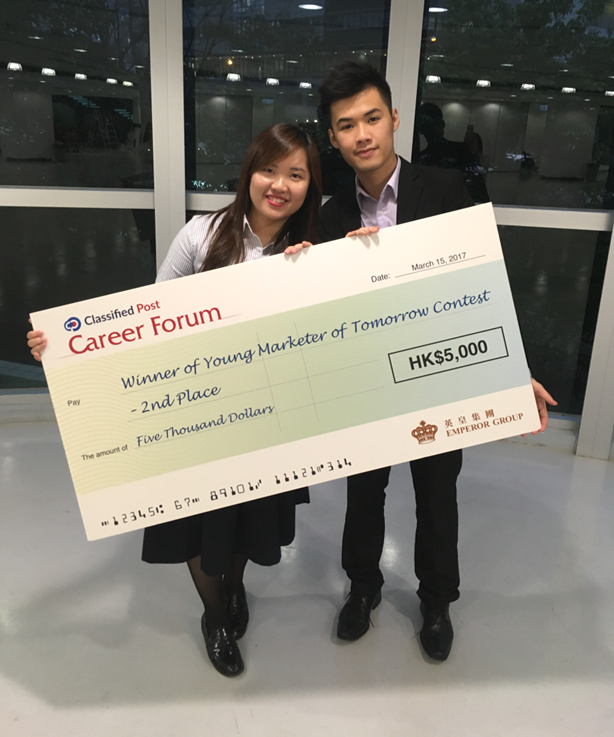 … In the last semester of my final year, my schoolmate, Harrison Wan, and I joined “Young Marketer of Tomorrow”, a marketing competition organized by SCMP Classified Post. Through designing marketing campaign, we successfully impressed the judges with our innovative ideas. We won the 1st runner-up and this was really encouraging! A perfect ending was marked in my university life. I would like to take this opportunity to show my heartfelt gratitude to every HSUHK professor and lecturer, especially from the Department of Marketing, for your guidance and support throughout my learning journey. Time flies. Four years of university life has finally come to an end, but a new chapter in my life has also begun. 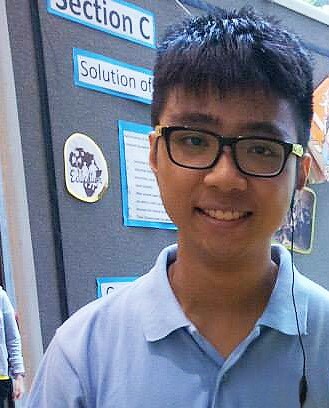 I really appreciate the knowledge and opportunities that HSUHK has provided to me, and they have transformed me from an immature boy to a humble and diligent young man. Since the first year of joining HSUHK, I have been exposed to different activities and opportunities, including the BBA Envoy Programme and internships at MTR, BMW, and China Mobile. I even did an internship in Mainland China. Thank you, HSUHK! These experiences have equipped me to become an all-round person with good leadership, management and interpersonal skills. Despite the keen competition in the job market, I was lucky enough to be chosen as a management trainee by Crystal International Group Limited, a leading garment manufacturer in the world. 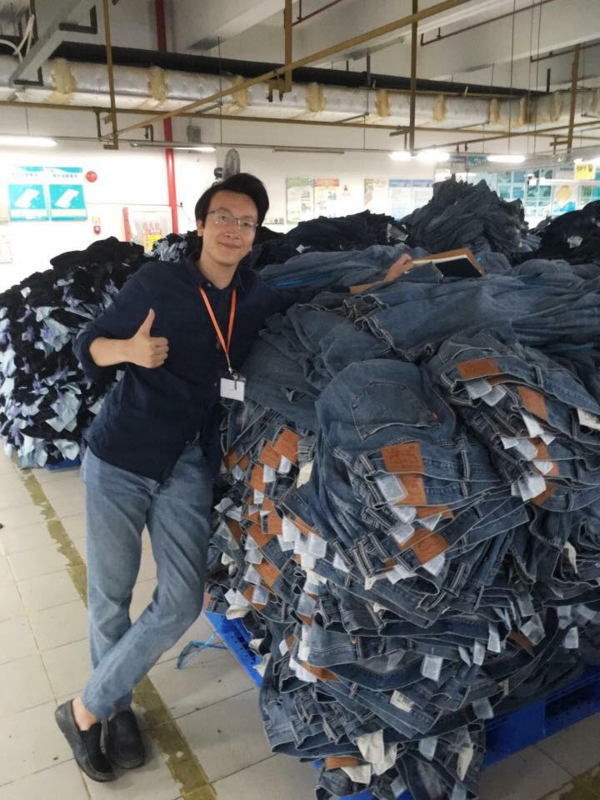 I am now stationed in a denim factory in Zhongshan, China, and make frequent business trips to HK and the US. 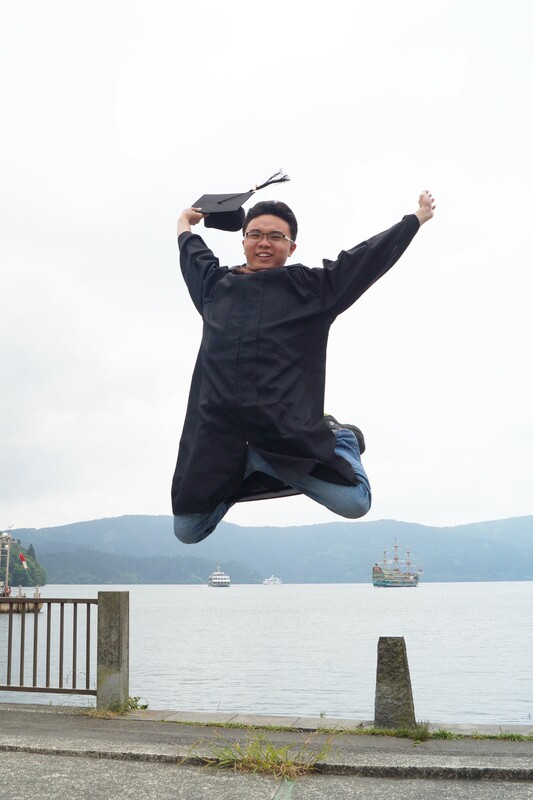 As a management trainee, I can explore different aspects of the business world, and in the process prove to others that HSUHK’s graduates are capable and flexible. I am proud to be an HSUHK alumnus, and I will continue to contribute what I have learnt to my company and society at large. “Throughout my four years of studies, I was given many opportunities to explore the world and different possibilities. To kick-start my exposure to the vivid business world, I did my first internship in Year 1. I worked for NetDragon Websoft Inc. in Fujian, China. I gained insight into the world of business. In Year 3, I worked as a public relations intern for the Hong Kong Economic and Trade Office in Singapore. I was trained to be detail-minded. I assisted in organizing an international event for over 600 guests. It was an invaluable experience for me. Apart from internships, I went to Inha University in South Korea for an exchange programme. Studying in a foreign country is definitely an unforgettable experience for me. The exchange programme in Inha University gave me the chance to communicate and exchange ideas with international students. I have learnt to embrace different cultures. “In the Hang Seng University of Hong Kong, students and professors are like close friends. I was much inspired and enlightened by lecturers’ and professors’ passion and wisdom. They transformed static book knowledge into dynamic and fascinating teaching. They have equipped us with knowledge and courage to compete with the elites around the world. HSUHK had also given me plenty of opportunities to explore myself and the world. My exchange experience to Edinburgh Napier University in Year 2 was a truly extraordinary one. I had the chance to interact with students from around the world. The inspiring journey helped me recognise my interest and determine my career path, which is to be an international relations researcher. In order to achieve this goal, I am going to further my studies by entering the master’s programme of Global Political Economy (MGPE) at The Chinese University of Hong Kong. In Year 4, I have successfully completed a part-time internship at Cathay Pacific Service Limited, where I had gained first-hand experience in marketing research and handling real-life customer situations. I have also learnt more about the aviation industry and the air freight market.